The US and Israel have established an exceptional relationship, which has significant effects on events and processes in the entire Middle East. Israel depends on the US for military hardware, for support against hostile international organizations, and for economic and financial aid. In turn, it is viewed by the US as a strong and reliable ally, and the US has adopted strategic concepts that for decades have governed Israel's national security, such as pre-emptive strikes and counter-terrorist strategies. However, politicians and scholars have accused Israel and pro-Israeli organizations of exerting too much influence on US policy in the Middle East. 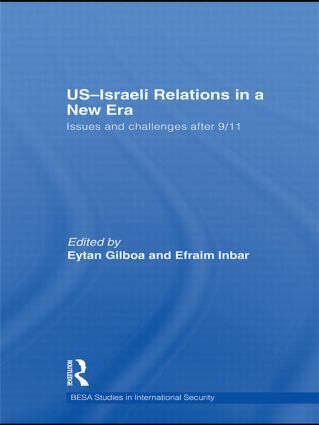 Here, a collection of international experts present original research and findings on a wide variety of critical bilateral and regional issues in American-Israeli relations, approaching the topics from both theoretical and practical angles. Transatlantic relations and the Middle East: Beyond policy disagreements?